Shamanism is NOT a quick fix magical solution. Sometimes, though it may…. It all depends on the guidance that comes through from your Guides and your Soul itself—remember, we are working on your Soul here—what the soul wants and does not want. Sometimes, our souls take on contracts and agreements—a life plan to fulfill. Because of these agreements—which the soul has made prior to its birth—the only understanding that may come through in a shamanic journey is why this situation happened. We can then ask what needs to be done to resolve the issue from your Guides and/or your Soul itself. 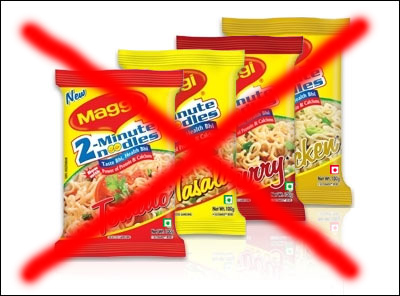 Shamanism is NOT Instant Noodles! Shamanism is not always about fixing the problem. It is about “understanding” the situation. Sometimes the Soul can heal and the Guides will suggest what to do. The work post guidance has to be done by the client. The shamanic practitioner is just a medium to show you the mirror about what is going on and what needs to be done. Sometimes, though, accepting a situation, may be the only solution as this is what the Soul wants and has agreed upon. Although understanding and awareness may throw a lot of light on the issue, post shamanic work is equally important or rather more important. This could be anything from working with your energy bodies to belief changes, working with power integration, building a relationship with your Guides and Power Animals, soul healing and other aspects of health may be guided. Spirits are outside the realms of time and space and hence how much time a particular resolution take, is an individual situation. Yet, if one sticks to the guidance and keeps treading the path, miracles are possible. Transformation is a process. Shamanism is not like taking a pill for headache. One has to feel into it and through it to allow it to transform your mind so you can feel and fully embrace the gifts of your soul. Energy is thick right now with so much warfare upon the planet. You come into this world to elevate that energy and this takes time. Listen to the whispers of your soul. Think how far you have come instead of seeing as “nothing is happening”! The work at my level is over. It is difficult to say how much time you will take to embrace, allow and deepen the healing. The only thing between you and the healing is the will to heal. Allow it.. Feel it.. The old seed has been weeded out and the new seed has been planted. It takes time to grow in to a fully nourished tree. Ask your Guides and Power Animals how you need to work at emotional level and with your belief systems to see the results. Continue working with your Power Animals. Implement the guidance and absorb the lessons which are involved.